We outline below the various steps involved in arranging a funeral. 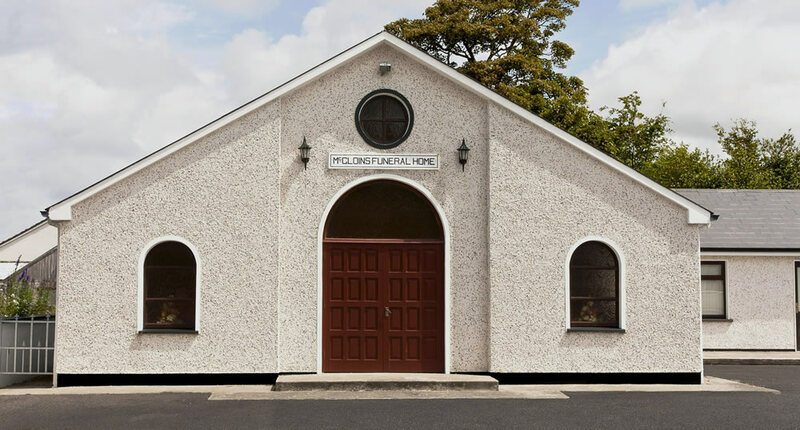 You can arrange a funeral with us by telephoning any one of us and we will arrange to call to your home or meet you at our funeral home at a time, which suits you. We discuss the choice of burial or cremation. Where new graves are required we liase the relevant people to organise the new plots. We organise open / closing of grave and dressing of the grave on the day of the funeral. If cremation is the chosen option we will prepare all the necessary paperwork and organise the cremation. We discuss choice of removal from the family home, funeral home, hospital or nursing home. Where person has died abroad we liaise with funeral director in the other country to organise the prompt and safe return of the deceased and get details of flight / boat arrival times. 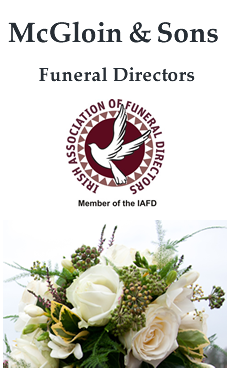 Where it is the wish of the deceased or their family that they be buried in an other country, we prepare all the necessary paperwork and organise flights / ferry as required and liase with the nominated funeral director in the other country. We liase/confirm details with clergy, churches, cemeteries, crematoria, as required. 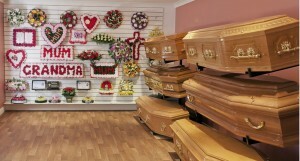 We care for, prepare and dress the deceased, as per the family’s wishes. We assist in the selection of a coffin or casket from our extensive range, which is available to view in our showroom at the funeral home . We assist in preparing and inserting death notices for publication on local radio or in local / national newspapers. 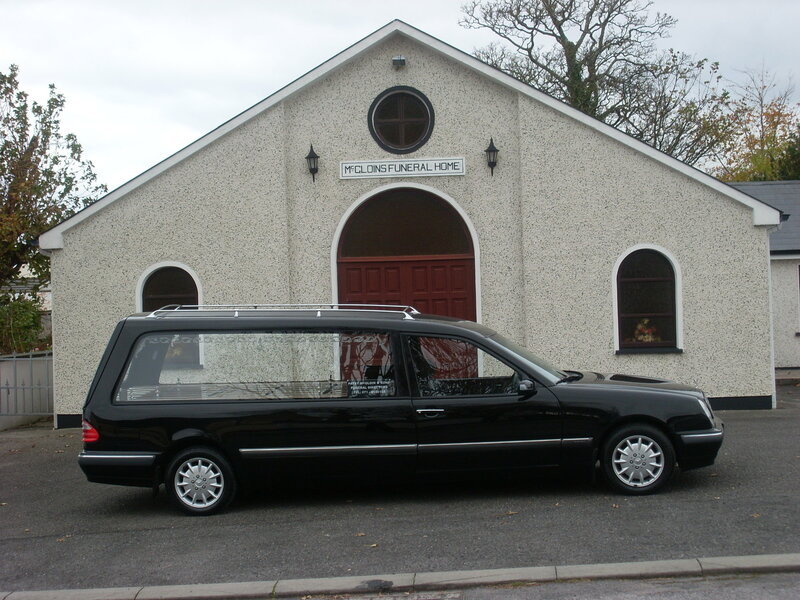 We provide the funeral vehicles required. We have a modern Mercedes hearse and also can provide limousines if required. We can arrange a selection of Floral Tributes either in silk wreaths, which we have a selection available to view in our showrooms or fresh flowers which we source from a local florist. We provide condolence books for signing at the funeral home, residence, church/crematorium and also online on this website. We discuss payments on your behalf to third parties, e.g. clergy, musicians, grave diggers etc. If required we can provide a full written estimate of the funeral costs. Should the family require we can recommend some local venues, which could cater for the provision of light refreshments after the funeral. Assistance provided after the funeral. Selection of an urn or casket for cremated ashesand the collection, burial or scattering of ashes. Help with the preparation of Acknowledgement notices. We provide booklets, which give details of Bereavement grants. Assistance with the selection of a headstone or an additional inscription on an existing headstone. Should the family require we can organise a stonemason to carry out this work.